Firing Charley Molnar wasn’t all about wins and losses, but mostly the “perception of the program,” according to the UMass athletic director. 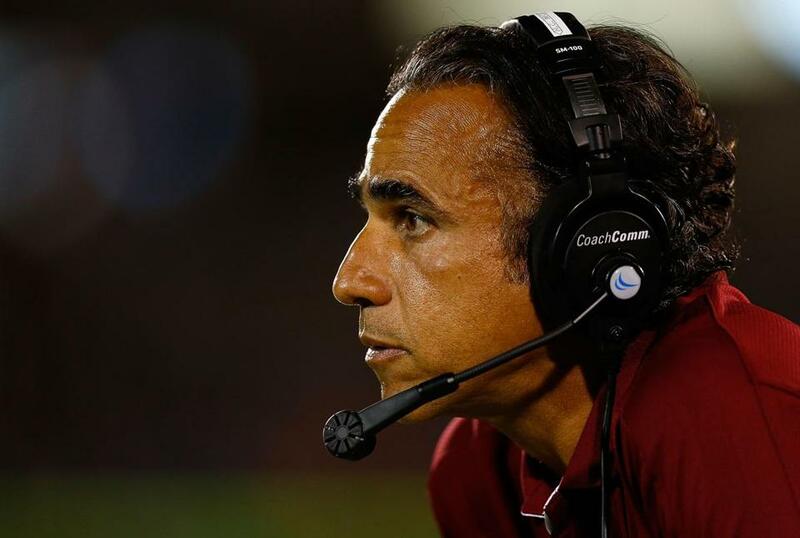 University of Massachusetts football coach Charley Molnar was fired Thursday by athletic director John McCutcheon. The Minutemen posted consecutive 1-11 records in two seasons under Molnar in the Football Bowl Subdivision as members of the Mid-American Conference. McCutcheon said the decision was made over the weekend, but he waited until after Christmas before meeting with Molnar Thursday morning to make the firing official. Firing Charley Molnar won’t solve the problems, and the school’s entire football program could be in jeopardy. McCutcheon said the decision was made in the midst of an investigation of the program that stems back to October, after a video surfaced of football players engaging in one-on-one wrestling and boxing matches during conditioning drills in the winter of 2012. 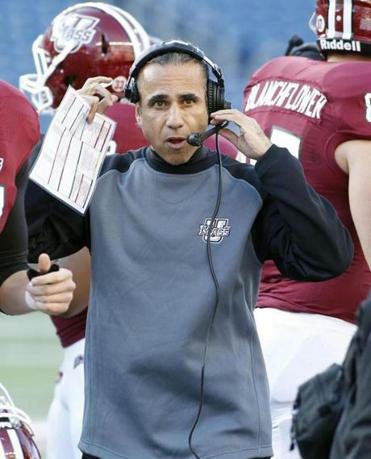 The video prompted former UMass players to petition for Molnar and his coaching staff to stop the practice and concentrate on improving the program, as was first reported by the Daily Hampshire Gazette in late September. McCutcheon said the review, being conducted by an independent group, is ongoing and the findings will be submitted to UMass Chancellor Kumble Subbaswamy in mid-January. According to McCutcheon, a number of players were interviewed by the review group after the season. Asked if there was concern over the relationship between Molnar and players, McCutcheon said only that he wasn’t involved in the interviews and that the findings are reported directly to the chancellor. Earlier this month, UMass announced that quarterback Mike Wegzyn and tight end Derek Beck will transfer after being given their releases. Molnar still has three years and $836,000 remaining on his contract, and McCutcheon said he will be paid through “external support” and not state or university resources. In a statement, Subbaswamy said he fully supported McCutcheon’s decision to dismiss Molnar. The search for Molnar’s replacement will begin immediately, McCutcheon said, and will be conducted by an advisory committee, with the assistance of CarrSports Consulting. Earlier this month, the UMass Faculty Senate received a report from the Ad Hoc Committee on FBS Football that cited the high cost of upgrading to the FBS level when the program is not generating the kind of revenue that was projected. “What becomes clearer each year is that this is a huge financial disaster for the university,’’ said Max Page, a co-chairman of the committee and an art and history professor. McCutcheon, though, said the decision to fire Molnar has no bearing on the team’s future in FBS.